If you have never applied wood stain before but would like to try then this is the article for you. Here we’ll look at just how easy this process can be, with the right preparation. Wood stain can safely be applied to any species of hard wood and parquet flooring, but never apply stain or any kind of finishing to laminate. The first thing to do is to prepare the floor and this is done giving the surface of your wood a fresh sanding. Once the sanding process has been completely successfully you will have a smooth dust-free floor with no bumps or lumps, no nails sticking out and definitely no gaps between the boards. If you are hiring a drum sander then never leave it running idly whilst stationary on the floor or you will get those impossible-to-shift roller marks which look like they were made by a mini tractor! If you are unsure of sanding the floor yourself you can have a professionally finished sanding job for perhaps less than you may have imagined. Either way, the floor must be newly sanded before a fresh topcoat is applied. No matter how tempting, cost-cutting or easier it may appear, do not apply wood stain directly on top of an existing finish. If you do, you are inviting blistering, discolouration and all manner of eyesores that will mar the natural beauty of the wood. a) The stain should be suitable for your type of wood. b) The stain should be easy to apply across a wide surface. If your stain meets these two criteria then it is pretty much a matter of personal choice. The most common and easiest-to-apply wood stain is pigment stain; so called as it contains a little pigmentation and is particularly popular when staining woods such as ash, oak, hickory and pine. Apply stain by working gently into the boards with a lint-free rag. Apply stain generously but without flooding the boards. The idea is to have the stain seep down into the boards as well as spreading on the top. Work the stain in small areas at a time and always in the direction of the wood grain. Once completed, you can leave to dry for at least 6 hours when you may wish to apply another coat. When the second coat has been applied it is best to leave overnight to dry and for 48-hours before bringing in furniture. How to match a wood stain to an existing veneer? If you have been doing some minor repairs on your floor it may be that you need to stain the repaired parts to match the rest of the floor. 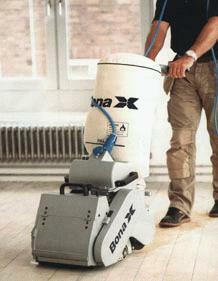 If you have re-finished your floor fairly recently you may even have some stain left over from the job. But it won’t be as easy as simply applying the stain to the small repaired areas and have it perfectly colour match. Even if your floor was re-done only months prior to the repairs, chances are the stain has lightened or darkened by at least a few shades, depending upon factors like natural daylight and traffic throughput. So before applying the stain select a small ‘guinea pig’ area of the floor and apply the stain using a smooth rag. Allow to dry before eye-matching it up with the rest of the floor. If it is a good match then leave well alone, if it is too light then you can add some darker pigment to the stain and re-apply. If it is too dark then add light pigment and go over it again. Choose as your test area a patch of floor which is usually hidden underneath furniture or another unobtrusive spot. 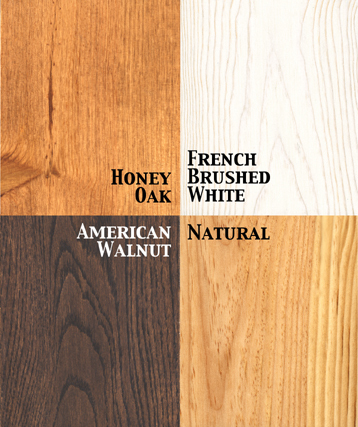 If you have originally used a quality wood stain then your patches should naturally blend in.